and we all want to arrive safely home! trying to help someone in need. one in the same and that is what is important. 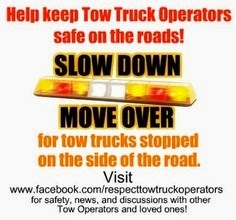 You've got to Move Over - It Saves Lives!